From their ninth studio album, ‘Nature of the Beast”, Canadians, April Wine, scored a Top 40 hit in the U.S. with “Just Between You And Me” in 1981. 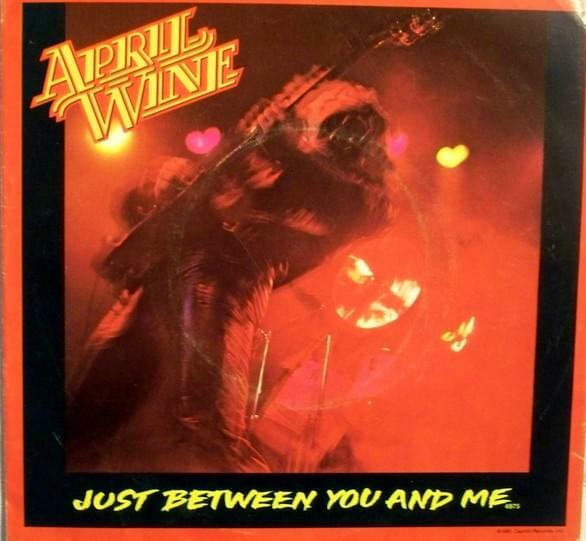 A power ballad always did well on the radio, and April Wine was no stranger the American Rock radio, with rock tracks like, “Sign Of The Gypsy Queen”, “Roller” and “I Like To Rock”. Since the band had already broken the U.S. market, it was easy for a power ballad from the rockers to peak at #21 on the Hot 100. Also, the video for the song was the fourteenth video to be played on a new cable music channel, MTV, on August 1, 1981!